The year was April 1970. Paul McCartney announced the Beatles were no more, Rowan and Martin’s Laugh-In was the number one show on television, and Apollo 13 managed to return safely to earth. Among the notable events of the year, Gaylord Nelson, a passionate Senator from Wisconsin, held an environmental “teach-in” attended by 20 million Americans across the country. Earth Day was born. It took nearly a decade for Nelson’s dream to become a reality, but he never gave up. Inspired by a speech he’d given on the Senate floor pleading for attention to be paid to our environment, a group of students spearheaded a true grass-roots movement that organized not just the “teach-in” Nelson had called for, but an entire week of events to build environmental awareness. By Earth Day 2010, the 40th anniversary of Earth Day, those 20 million had grown exponentially into over a billion participants, and the U.S. was joined in environmental efforts by over 190 countries. Check out this insight into an important tradition from Rivertown Buick GMC. As the space exploration vehicle Voyager left our solar system in 1990, it took a photograph of earth. Our big beautiful planet was nothing more than a pale blue dot in the vast cosmos of space. This fragile ecosystem, our home, sustains us in the darkness. And as noted astronomer Carl Sagan said, we need to “protect and cherish the pale blue dot”. You can do your part to protect that wonderful dot by embracing Earth Day every day. Small changes mean big things when we work together. Here are 20 ways you can help. Change your incandescent bulbs to compact fluorescents. Drive your car less, carpool when you can, or consider buying a hybrid. Buy an Energy Star appliance. You might even qualify for a tax break or a rebate. Unplug what you can do without. Turn down your thermostat 2 degrees in winter and up 2 in summer. Instead of tossing empty plastic water bottles every day, buy a reusable water bottle. Get some reusable grocery bags. Lower your water heater thermostat and make sure your insulation (both in your house and around your pipes and heater) are up to snuff. Go as paperless as you can. Pay your bills online. Read the newspaper online. Send e-vites instead of invites. If you do have to print, use both sides of the paper. Reduce the amount of junk mail you receive. Install low-flow toilets and shower heads. Use cold water in the wash.
Only use the dishwasher or clothes washer when you have full loads ready. Plant plants that need less water and create more shade. Buy organic fruits and vegetables. Use organic household cleaners or make your own. 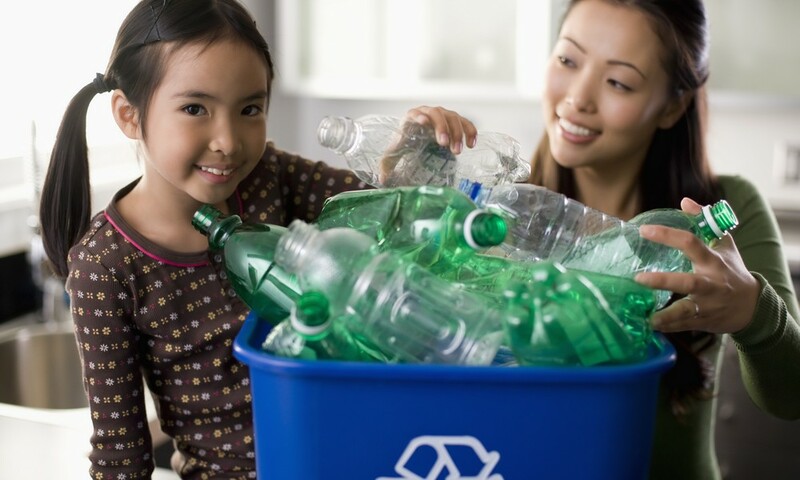 You can also make a difference by supporting companies that care, which you can find by visiting the Biodegradable Product Institute and Green America’s National Green Pages.